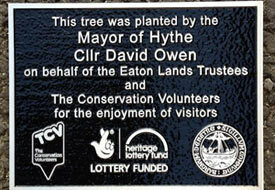 At The Sign Maker we sell cast metal signs made from Bronze, Brass and Aluminium along with a range of signs cast from tough high quality Polyurethane. 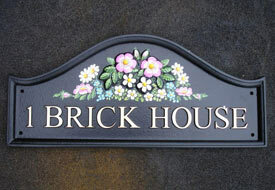 They can be used for House Signs and Name Plates, Memorials, Commemorative Plaques and Business Signs. Click on the photos or links below to find more information about each type. 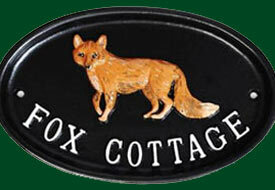 These are top quality bronze signs which are very traditional, timeless and virtually maintenance free.The very latest in pattern making technology is combined with the very best of traditional craftsmen skills to offer you the best of both worlds. 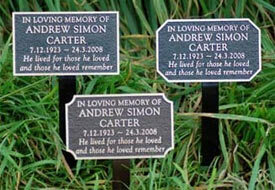 Ideal for information signs, house signs and memorial plaques. 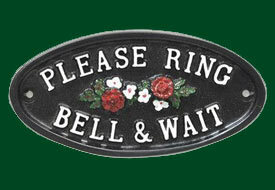 Made of solid brass, these plates can be painted in Black, Blue, Green or Maroon. Several lines of wording can be incorporated, by reducing the letter size. 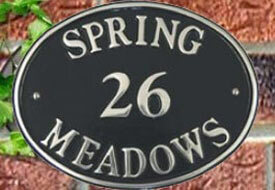 We can include a house number on your plate. The motifs can be included, if required, to achieve a balanced appearance. 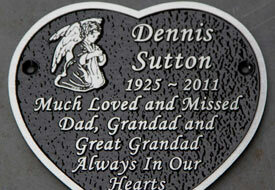 Cast aluminium memorial plaques, house signs and informational signs made in the traditional way. Various motifs are available along with a choice of four background colours. Available with tree stakes, holes or rear studs for fixing. 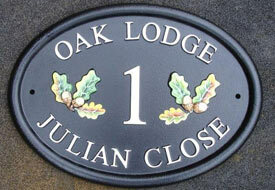 Our cast bronze memorial plaques are traditionally made in a foundry using a casting technique that dates back to the bronze age itself. 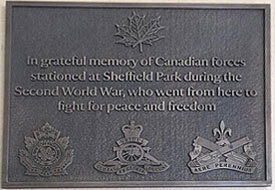 However the pattern making process is modern and uses the latest computer technology so you can have your memorial plaque made just the way you want it. Made of solid aluminium. Several lines of wording can be incorporated by reducing the letter size. 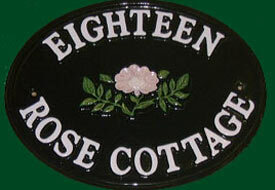 We can include a house number on your sign, or if required a hand painted motif can be included, to achieve a balanced appearance. 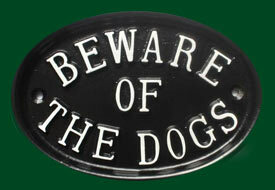 All the signs have a durable baked finish. 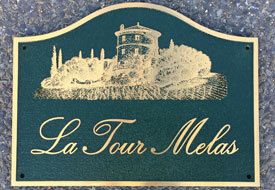 These cast metal signs are manufactured at the foundry in one piece. 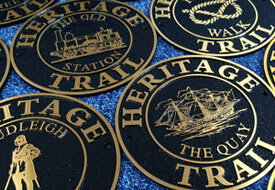 To create the raised lettering and motif each sign is cast using the traditional sand casting process. After cooling, the mould is broken open and the cast metal sign removed. It is then cleaned, primed, powder coated and finally hand painted. 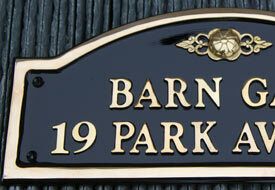 Our Horseshoe Signs make ideal house signs or stable name plates. 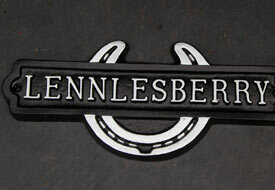 The horseshoe part of the sign is molded like a horseshoe. 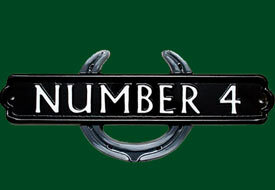 The central name bar has raised lettering and a raised rounded border. Each sign is cast in one piece. 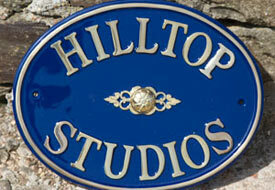 We have a range of standard cast aluminium signs which are ready made and can be dispatched quickly. 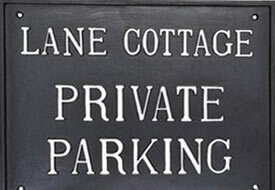 These include Close the Gate, No Parking, Private, No Right of Way, Beware of the Dogs, Dogs in Garden, No Dog Fouling, No Cold Callers and many more. These signs are not metal but look very similar so are included here. They are cast in a very high quality polyurethane. This is an extremely tough hard wearing material which is solid, rigid and does not corrode. It has a distinct advantage over cast metal in that the lettering is crisper and the motifs, logos and crests can be much more intricate.